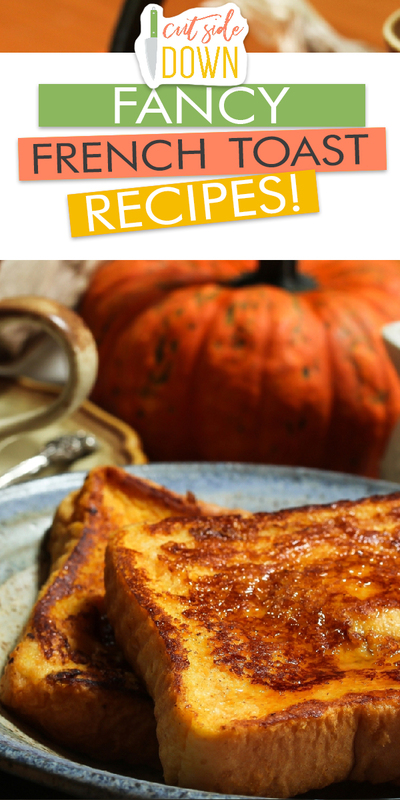 French toast is a family favorite. My brother has been making it since he was five, and it just became part of the family. We eat it for breakfast and even the occasional dinner! I love baked french toast, brioche french toast, stuffed french toast, you name it. One thing I really appreciate is having some fabulous toppings to take your traditional french toast to the next level. So I’ve put together three recipes to meet your needs: toppings, stuffings, and spices! From soaking your bread in coconut milk to topping it with some fresh fruit and desiccated coconut. First, in a shallow baking dish, whisk the eggs, milk, pumpkin pie spice, and pinch of salt. After whisking things, heat up a skillet over medium. Next, soak 4 slices of the bread in your mixture and let the excess drip off. Before putting the bread into the skillet, sprinkle each slice with sweetened shredded coconut and press lightly to make sure it sticks. Cook for about four minutes or until deep golden brown before flipping and cooking an additional two minutes. Transfer cooked slices to a parchment lined baking sheet and keep warm in a 300F oven. Serve with fresh fruit and enjoy! 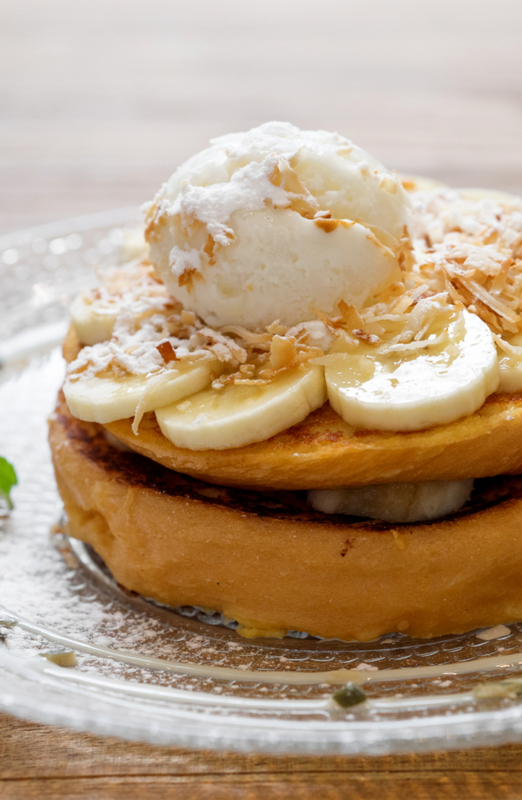 If you don’t like toppings on top of your french toast, then you should definitely try putting them inside! Start by heating your oven to 350F. While it’s getting nice and toasty, mix together the mix, eggs, vanilla, and cinnamon until well mixed. Once that’s done, it’s time to create some pockets! First, start by using a knife to cut a pocket in the bread, like you’re making a pita pocket. 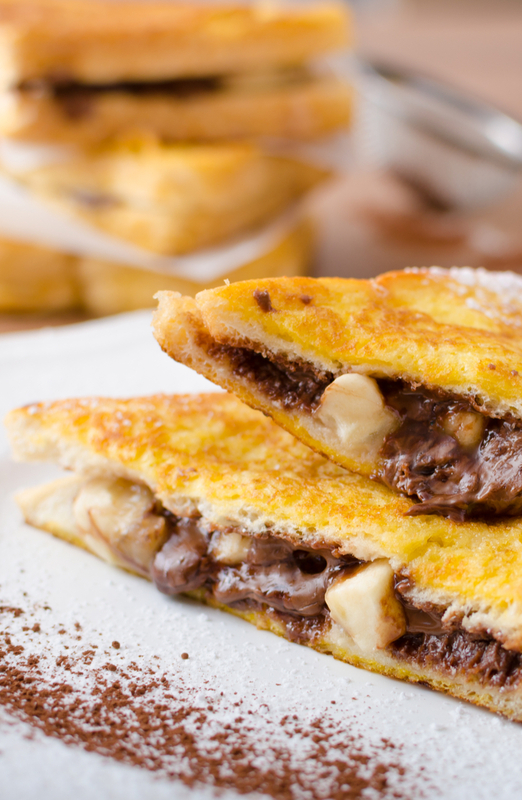 Next, spread some of the chocolate hazelnut spread inside the pocket before tossing in some bananas. Once all of your slices are filled, it’s time to dip! Start by dipping both sides of the challah bread in the egg mixture before transferring to a hot, greased griddle (like this one). Finally, cook for 2-3 minutes each side until deep and golden brown. Keep them warm in your oven until all of them are done. Serve with more fruit, maple syrup, whatever your heart desires! This is the perfect recipe if you’re not a fan of things inside your bread or on top of it and just want a little extra flavor. If you want to keep your toast toasty, then heat your oven to 200F and put a baking tray inside. While that’s getting warm, in a shallow dish, whisk the cream, apple cider, sugar, pumpkin puree, eggs, spice, and vanilla. Next, heat up your griddle and put a tablespoon of butter on it, allow to melt. While the butter is melting, dredge your bread into the mixture and make sure it coats both sides. Next, place the bread into the melted butter and cook for 3-4 minutes over medium heat until golden brown. Make sure to flip the toast and cook bother sides before placing into your warm oven. 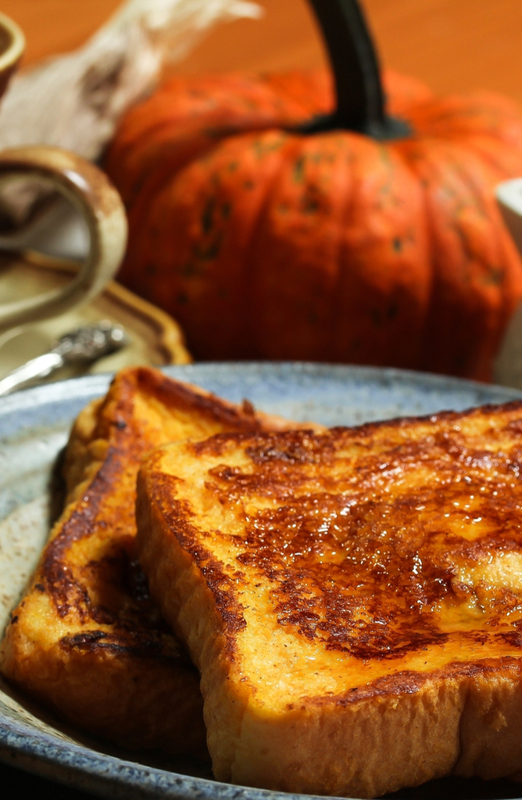 Serve the french toast with powdered sugar and syrup! Whether you like to top your toast, stuff your toast, or spice your toast, hopefully these recipes will help you take your french toast game to the next level. Happy baking!